I attended a workshop about education in the new economy system this week. It was a very well organised workshop with representatives from all stakeholder groups involved in the education of the system. The discussion was facilitated by a workshop leader, and we discussed who would get education and and what the education should contain. The workshop started with a presentation by me and Annika Björklund from the local Ladok project. 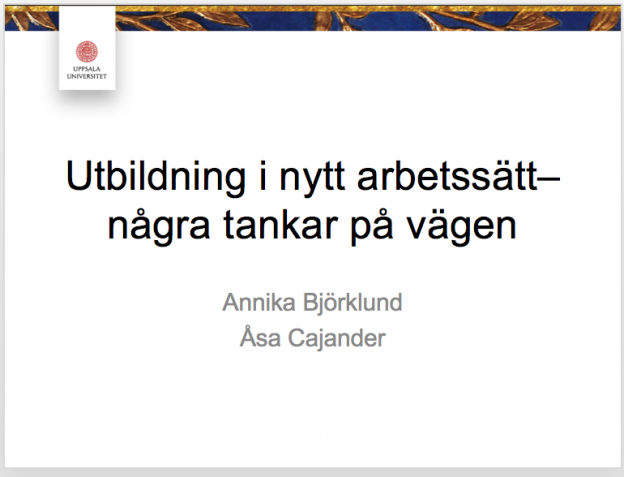 I presented some general ideas from a study I did on economical staff and IT a few years ago, and Annika presented the ideas they are working with in relation to the Ladok project. Local support. How do we solve that? 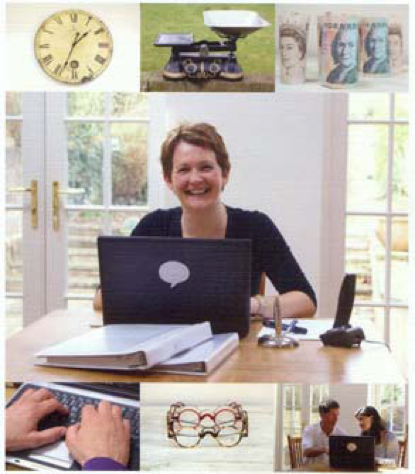 Workshops where it’s possible to discuss your day to day problems with an expert. I am very much looking forward to following this project. One part of the project will be rolled out in October, and the rest later on next spring. 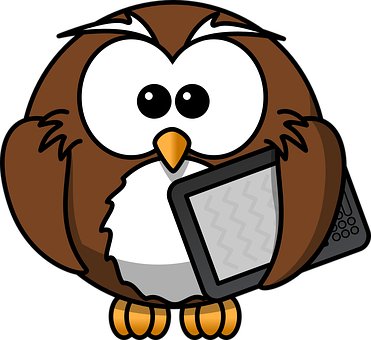 This entry was posted in Action research, Computer Science Education, software engineering, Uncategorised on 16th June 2017 by Åsa Cajander. My research group, the HTO group have just worked out a contract for a participatory research project with the finance department at Uppsala University. Usability mentoring about working in different roles with the aspect of digital work environments in mind. Vision seminars about the future work with economy with a special focus on communication, development of competencies and deploymen of IT. Education and the introduction of new IT systems. 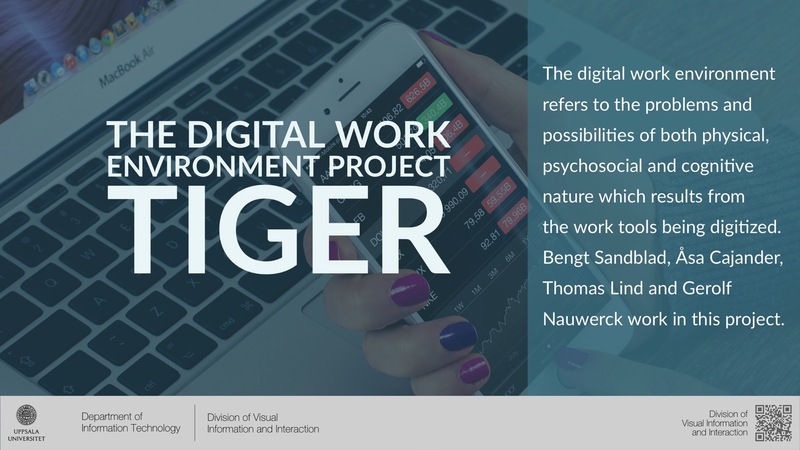 We will be recruiting people to this project – so look out for the ad.We are looking for reserachers who have a PhD in areas related to digital work environments, and who are looking for a post doc position in a dynamic and growing reserach group. This entry was posted in Action research, software development, software engineering, Vision Seminars on 27th March 2017 by Åsa Cajander. We had a great Dome conference in Skövde about our research on medical records online. There were 12 reserachers present during this conference from a large number of universities. 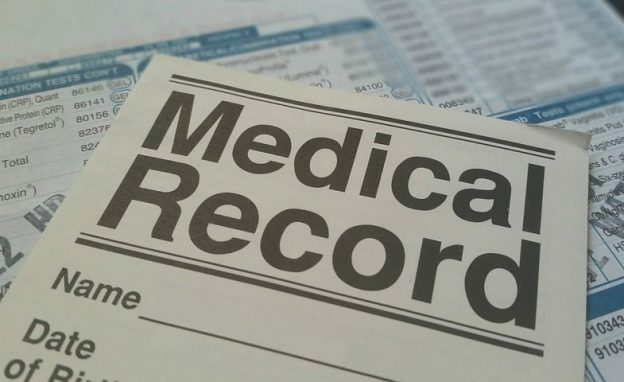 The first day there were some presentations of new and upcoming studies of the effects of patients reading their medical records online. Erebouni Arakelian who has a PhD in medicine joined a Dome meeting for the first time and presented the plan for a study on the patient group that she is working with, and that she has done studies on before. She will do 30 interviews during the coming years, and has already gotten ethical approval for her study. Bridget Kane who does reserch in HCI and in Computer Supported Collaborative Work also joined the meeting for the first time and she did a presentation of her previous studies and what she has done in her work. She has covered a very interesting, and large area related to eHealth. Interview study with cancer patients by Ereboni Arakelian as a follow up to the national survey sent out in the fall of 2016 and the interviews made around 2013. There were some new members of the consortium present at the conference, and some old members have moved on to other research areas. I am however really glad to see that we have created an open and well functioning community where newcomers are very welcome. This entry was posted in Action research, DOME, eHealth, Medical Records Online, Uncategorised on 22nd March 2017 by Åsa Cajander. During my PhD studies we did a very interesting study on how system developers understand and experience usability methods. The paper was written by Elina Eriksson, Jan Gulliksen and me and it gives some answers to interesting questions. How do you do usability work when no usability expertise is available? What happens in an organization when system developers, with no previous HCI knowledge, after a 3-day course, start applying usability methods, and particularly field studies? In order to answer these questions qualitative data were gathered through participatory observations, a feed back survey, field study documentation and interviews from 47 system developers from a public authority. Our results suggest that field studies enhance the developer’s understanding of the user perspective, and provide a more holistic overview of the use situation, but that some developers were unable to interpret their observations and see solutions to the users’ problems. The field study method was very much appreciated and has now become standard operating procedure within the organization. However, although field studies may be useful, it does not replace the need for usability pro fessionals, as their knowledge is essential for more complex observations, analysis and for keeping the focus on usability. This entry was posted in Action research, Computer Science Education, Uncategorised on 20th March 2017 by Åsa Cajander. 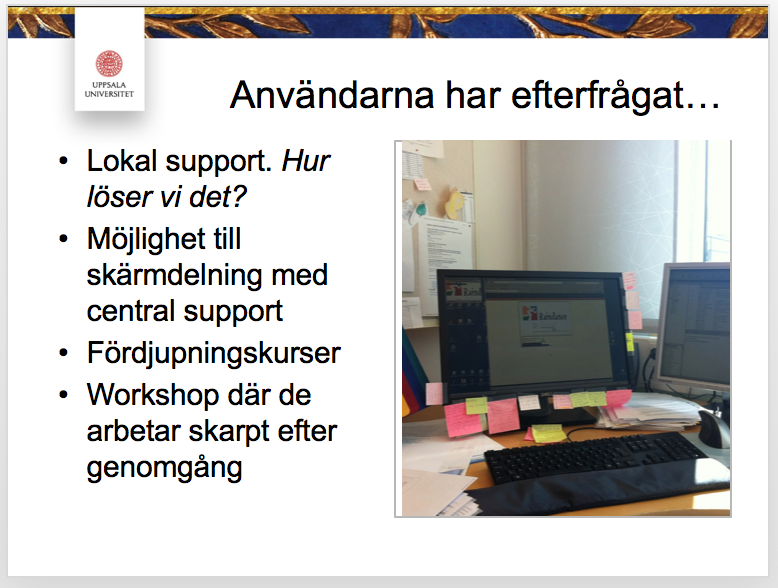 We have had a very good collaboration with the department of EMR in the Region Uppsala since a few years. We call this collaboration the Dive (Digital work enVIronment and Ehealth) project, and we are a group of 3-4 reserachers who participate. 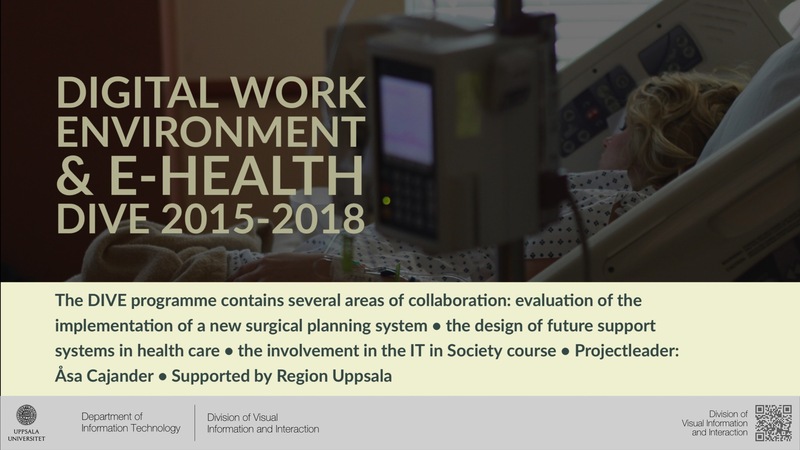 This collaboration has been in the form of an action research project where researchers from our department worked togehter with people from the EMR department in designing a new IT system for surgical planning. We have also collaborated in doing some evaluations of usability aspects that has been used in the deployment of the system. We will also do follow up evaluations of usability. Now we have moved on to looking into decision support systems, and my collegues do vision seminars and will work on a design. 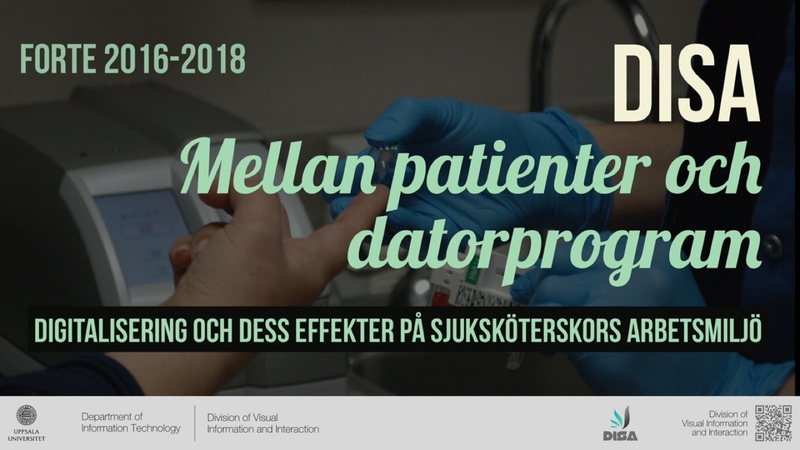 The department of EMR also collaborate with us around the IT in Society class that has resulted in a report, a presentation and also visibiliy at Vitalis 2017. The Disa project is also supported by the department of EMR, and we collaborate around this project too. 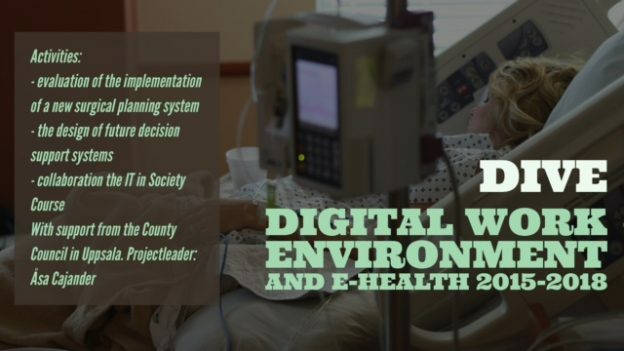 This project includes around 10 reserachers who will look into the effects of digitaliczation in health care and the project will result in concepts and a eWorkenvironment framework possible to use when implementing IT in health care. The department of EMR has an excellent and very active representative on the advisory board of the project who has helped us a lot in understanding the organisation. 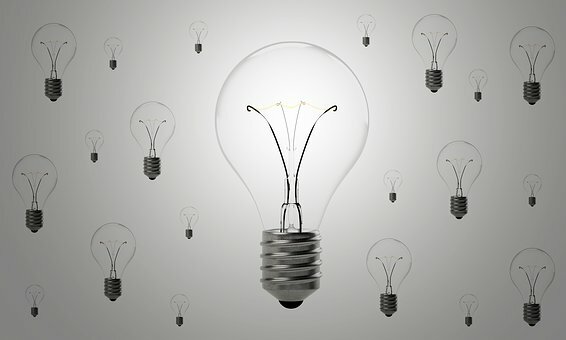 In these kinds of collaborations it is crucial to find a win-win situation, where both the reserachers and the organisations feels that they get energy and effect from the collaboration. In our case the collaboration in the Dive project has given us much insight in eHealth development and in the complexities of working with IT in health care, which is crucial to be able to work in that area. And I know that the department of EMR are very pleased with the input regarding design that we have given hem. The Disa project has just started, and hopwfully that will result in a win-win too. We are extremely happy about this colllaboration, and strongly recommend other reserach groups to try the same approach to collaboration! This entry was posted in Action research, DOME, eHealth, software development, Uncategorised, Vision Seminars and tagged Action Research on 9th March 2017 by Åsa Cajander. My PhD thesis: Usability – Who Cares? It’s been almost seven years ago that i defended my PhD that is a collection of eight papers related to the establishment of User Centred Design (UCD) in organisations when developing IT for work. You find the thesis in the university system Diva. 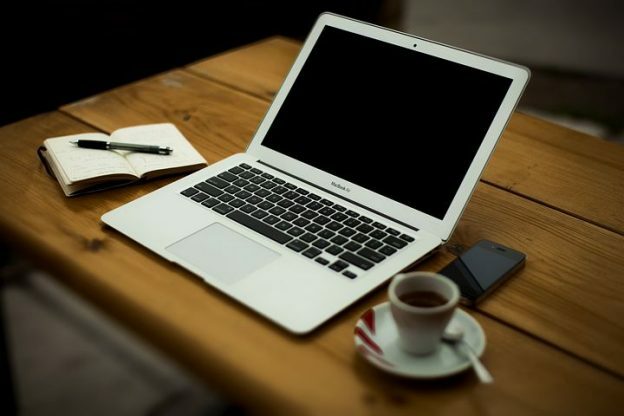 The fundamental idea on which the thesis work is is based is that future work situations, usability of systems, and users’ needs, must be considered when developing computer systems for work, in a manner which involves the entire organisation. Usability needs to be a part of, for example, the organisational culture, strategy documents, budgets, and methods for procurement. During my PhD work I participated in large action research (see blog posts about this) projects in eight different organisations. It took me eight calendar years to finish my PhD education (! ), but four years of full-time work since I got three of my children during this period. We have paid parental leave in Sweden, and I was off for a bit more than a year for each kid. My supervisor Jan Gulliksen was very engaged, and the best supervisor I could get. Towards the end of the process I was a single mother of three boys, and with the support of my parents and collegues I managed to wrap things up. This was not easy, as you can imagine. But somehow this very stressful life situation made the thesis writing the fun part of life! I honesly also think that the text became better since I just wrote down things I have learned without any aim of it being perfect or complete. What happens when UCSD is introduced in a public authority? How do perspectives of stakeholders in systems development projects affect the work with UCSD, usability and users’ health in the organisations studied? What new methods can be used to introduce UCSD and to influence perspectives? Some organisational problems found in the study presented in papers Sandblad et al (2003) and Cajander (2007). Focus on surveillance and control · Detailed supervision of work and work performance through computer system. Administrative work was regarded as trivial · It-professionals claim that they have a good picture of case handling and core business. Development of IT systems based on technology and process descriptions · Abstract models of work as flow diagrams guide the development of new computer systems. Usability in systems development · Little or no usability activities in system development. System developers doing field studies to see the context in which the computer systems they build is used. I hope that some of you who work with usability take the time to skim parts of the thesis! This entry was posted in Action research, software development, software engineering, Uncategorised and tagged Action Research, User Centred Design, users, UX on 20th February 2017 by Åsa Cajander. PhD Dissertation by Thomas Lind – Save the Dates! Excellent Thomas Lind will defend his PhD thesis in 2017. Thomas is one of the members of the HTO research group, and I am his main supervisor. Marta Larusdottir and Bengt Sandblad are co-supervisors. Thomas has a background in socio-technical systems engineering, and his PhD is related to the deployment of ICT from a sociotechnical perspective. The Ivan project which was a collaboration with the county council in Uppsala where he worked together with Rebecca Janols and Bengt Sandblad. The DOME consortium where Thomas did studies on the design and deployment process used when implementing the system medical records online for patients. The SESSION project. 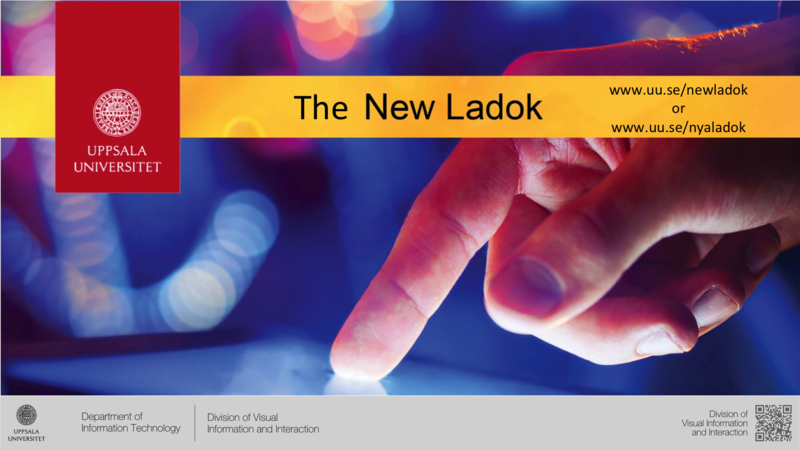 The New Ladok is probably the most important information system for higher education in Sweden. 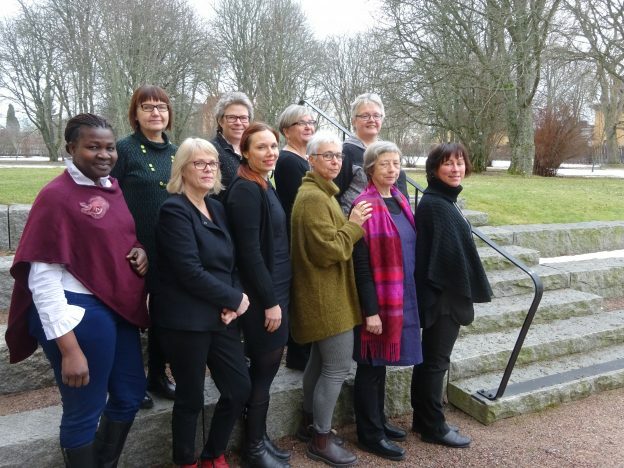 The system is currently being designed and gradually rolled out in parallel and will have a significant impact on the work practices of Swedish universities. Bengt Sandblad, Åsa Cajander, Thomas Lind and Gerolf Nauwerck are working in this project that started in 2012. Final seminar: 24th of February 2017 in the afternoon (13-15). José Abdelnour Nocera is invited to discuss the first version of the thesis with Thomas. Preliminary date for the PhD defence: 2nd of June 2017. This entry was posted in Action research, Medical Records Online and tagged Action Research on 1st February 2017 by Åsa Cajander.